A budget of 400 million euros was earmarked for this purpose, and will go to the manufacturers Heuliez Bus, Bolloré and Alstom in equal shares of €133 million each. The money will be used as covering amounts that can be used depending on the completion of the deliveries. The project will be financed by Île-de-France Mobilités, the organisation responsible for organising public transport in Greater Paris. It is still unclear whether this will be done directly through them or under a long-term contract governing the financing of transport between Île-de-France Mobilités and RATP. 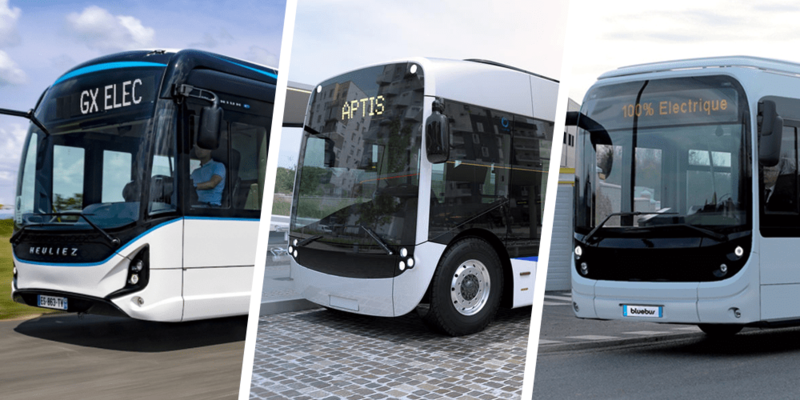 Meanwhile, RATP will initially award fixed orders to the three manufacturers for a total of 200 12-metre electric buses. The first 150 vehicles are to be ordered as soon as possible and delivered between the end of 2020 and 2022. The aim of the public transport operator is to convert two thirds of its bus fleet to electric buses and one third to biogas buses by 2025. Currently, the bus fleet of 4,700 vehicles includes 950 hybrid buses, 140 biogas buses and 83 electric buses. In addition to the large-scale procurement announced above, a further 77 electric and 50 biogas buses are expected in the current year. RATP boss Catherine Guillouard sees the major procurement measure as an important signal. The massive switch to electric buses shows action behind RATP’s claim to want to become an important player in energy change in public transport. Establishment of charging infrastructure for the incoming fleet is also an issue: “To put them [the electric buses] into service, the company is mobilised to meet an industrial challenge within a very short tight deadline,” she adds. With twelve of the 25 depots, half of the locations are already undergoing infrastructural reconstruction.